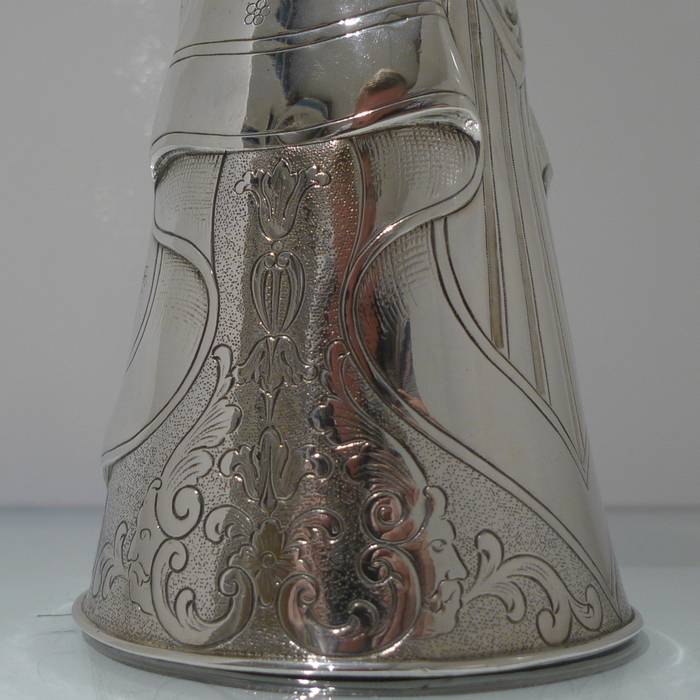 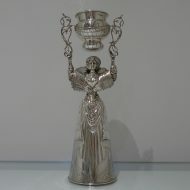 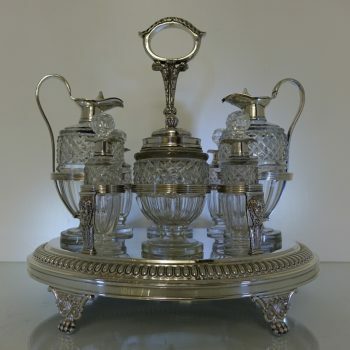 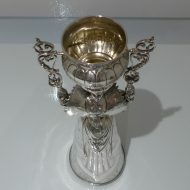 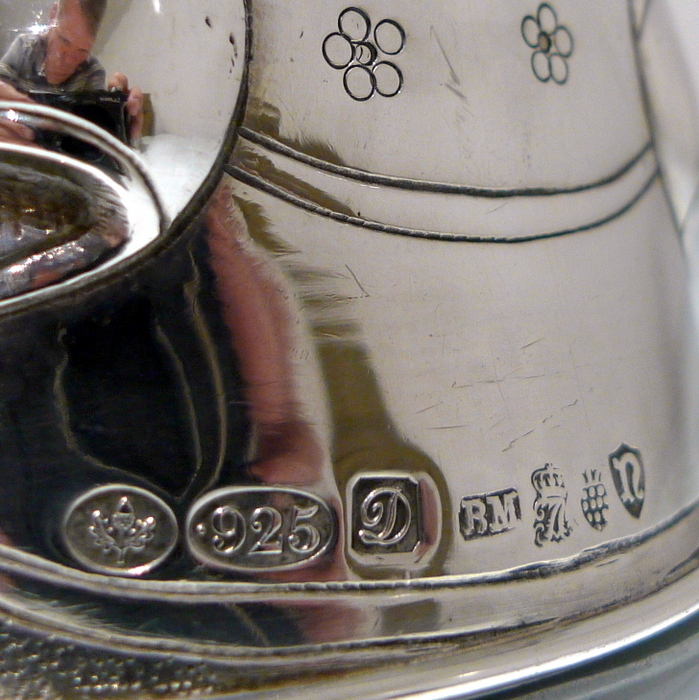 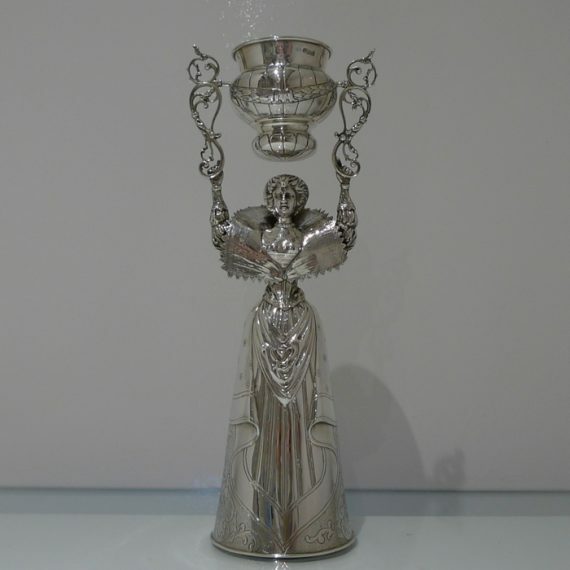 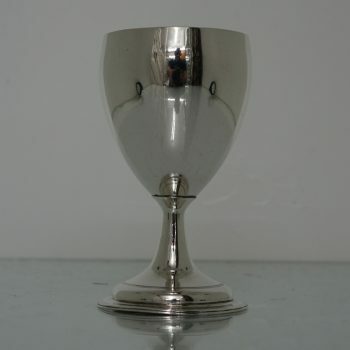 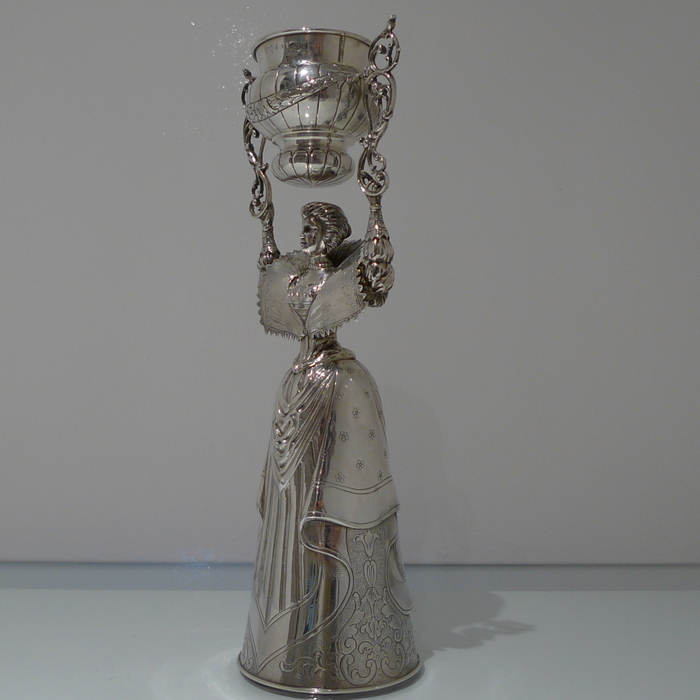 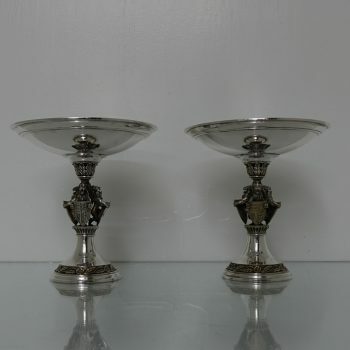 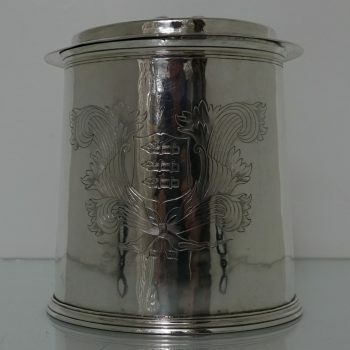 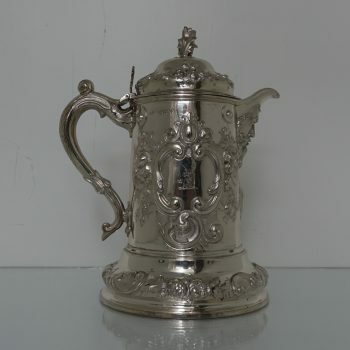 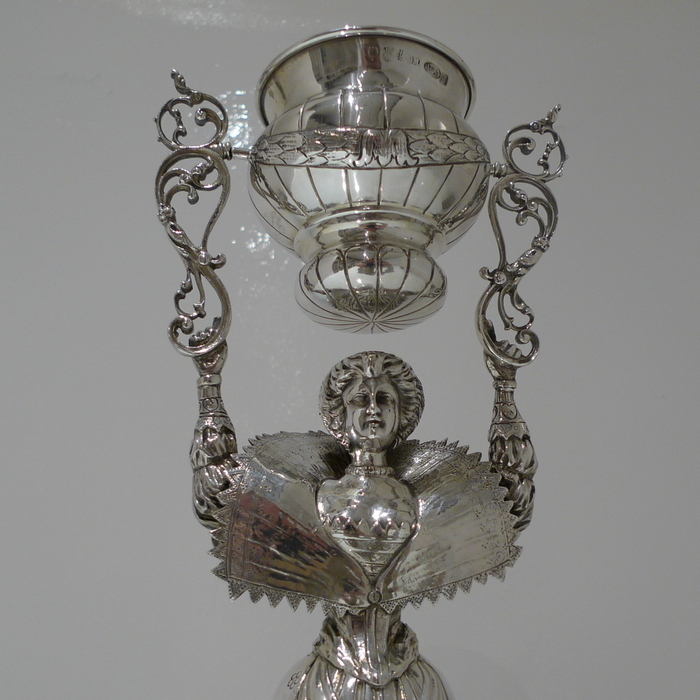 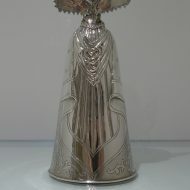 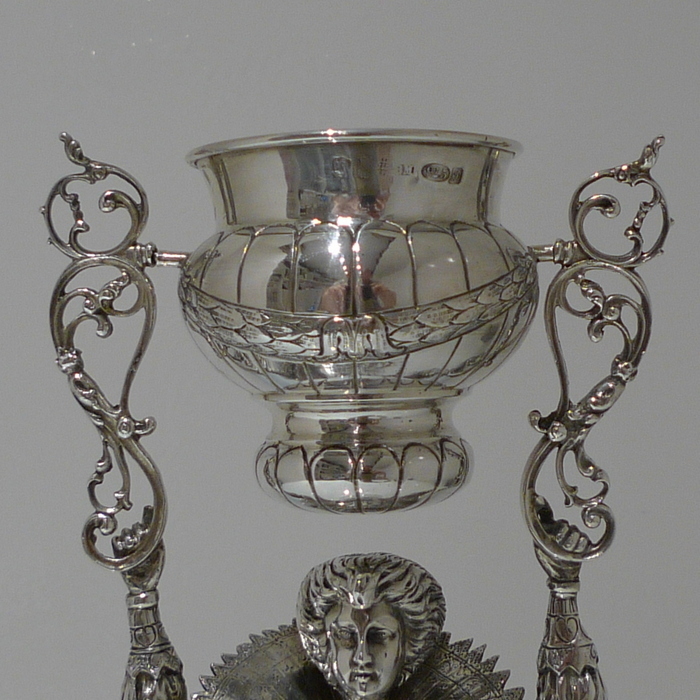 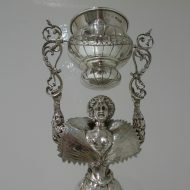 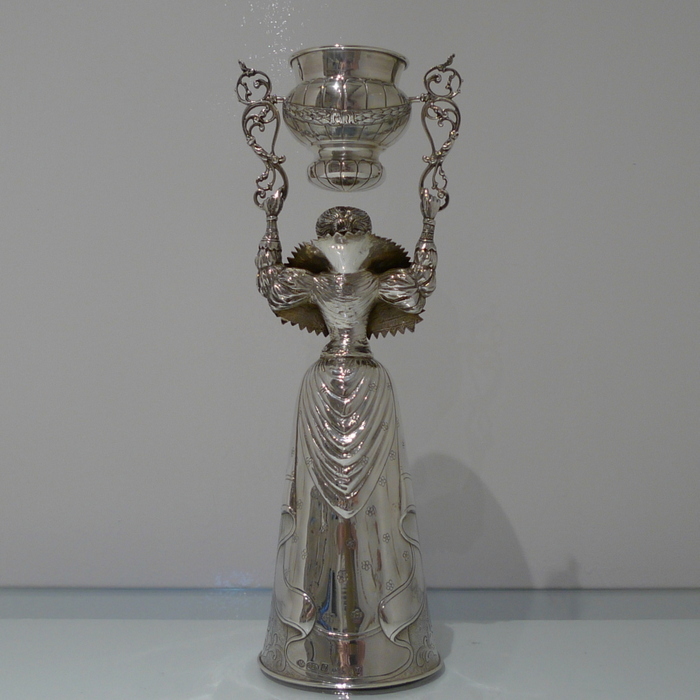 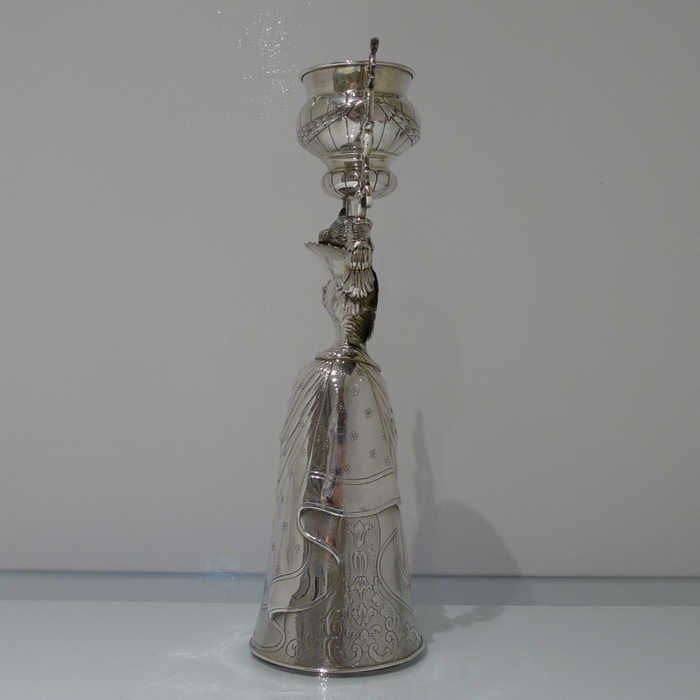 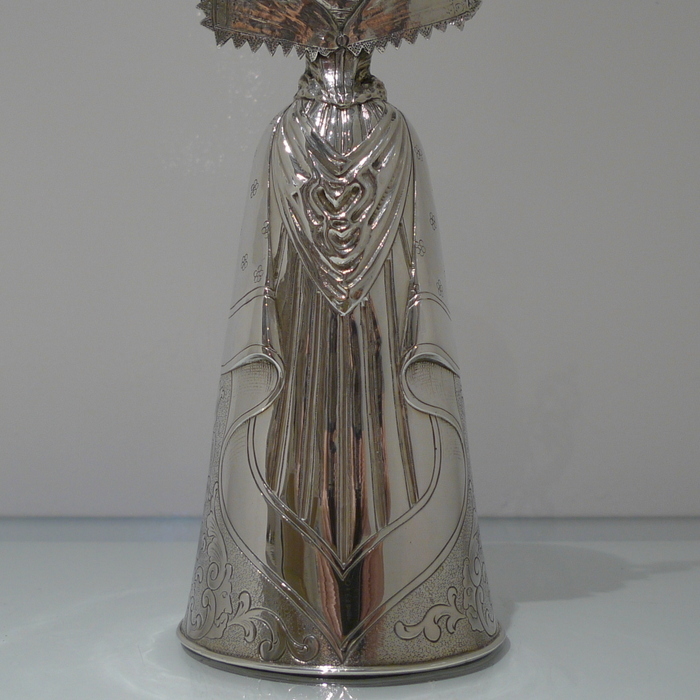 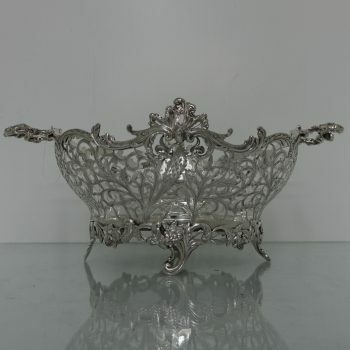 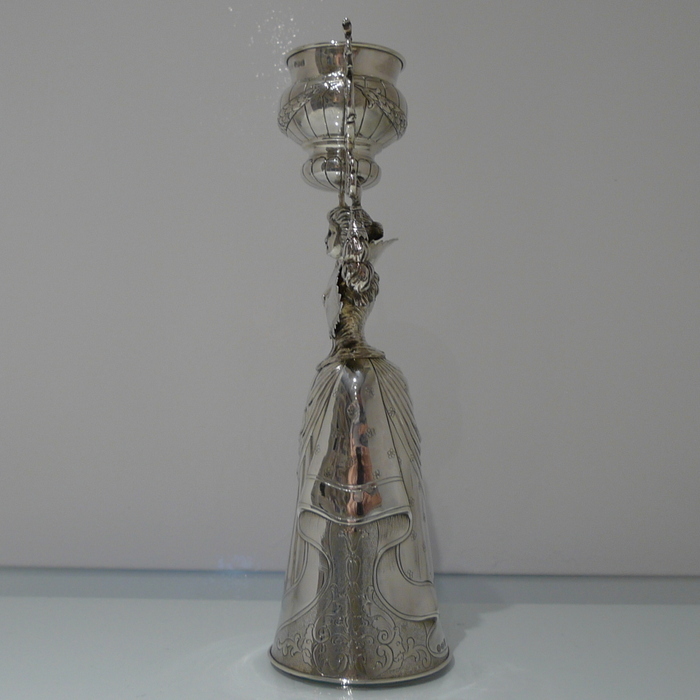 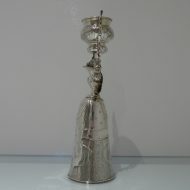 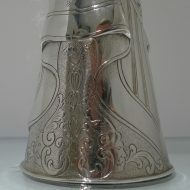 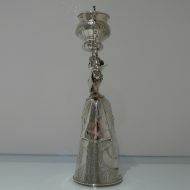 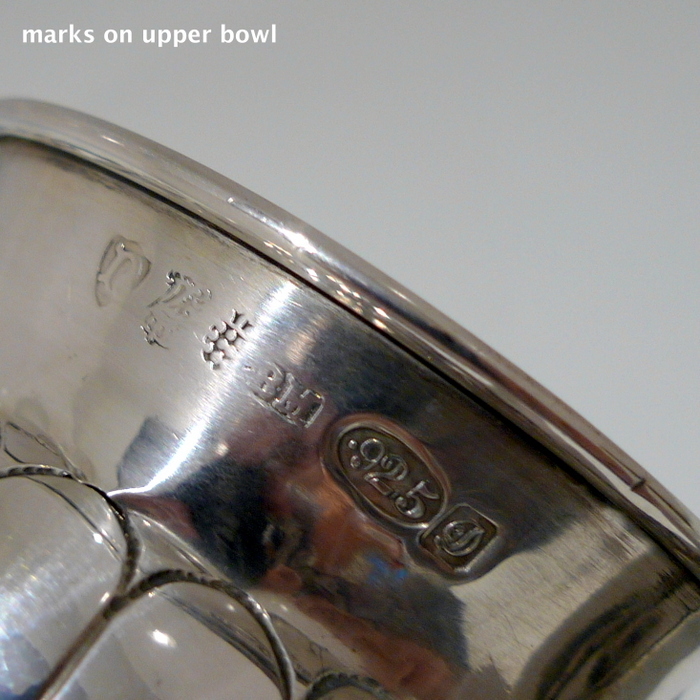 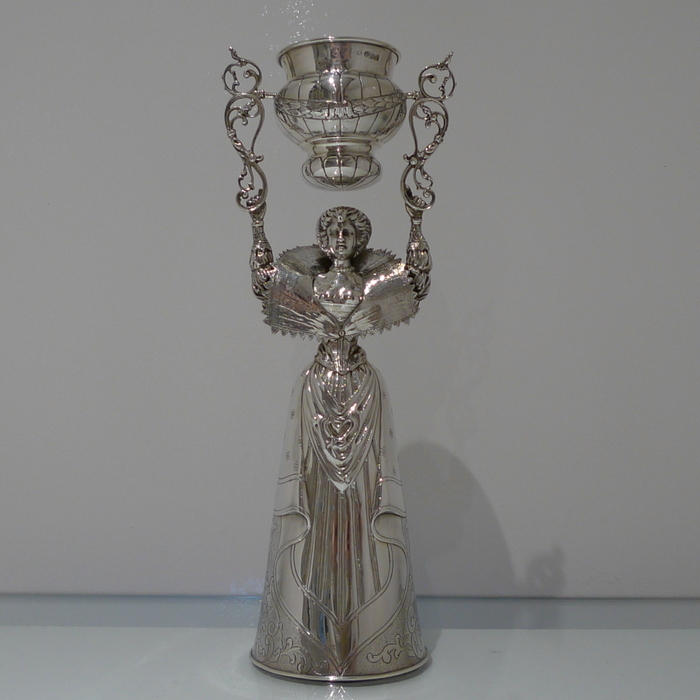 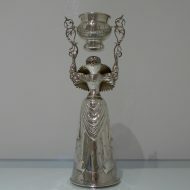 A large and extremely stylish antique figural wager/marriage cup ornately designed throughout. 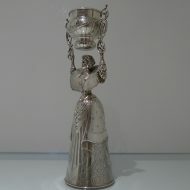 A large and extremely stylish antique figural wager/marriage cup ornately designed throughout. 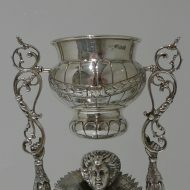 The lower bowl is stylishly formed as an ornate bell dress and the upper bowl swivels and is held aloft in triumphant pose.